Our pool based sessions are held in Westport Leisure Park and are coached by Aoife Hamilton and Barry Robinson. Both Aoife and Barry are qualified Swim Ireland coaches. Monday evenings from 8.30 - 9.30 pm with Barry Robinson and are focused on swim theory and technique drills. Wednesday and Friday mornings from 6.30 - 7.30 am with Aoife Hamilton are focused on technique and endurance. 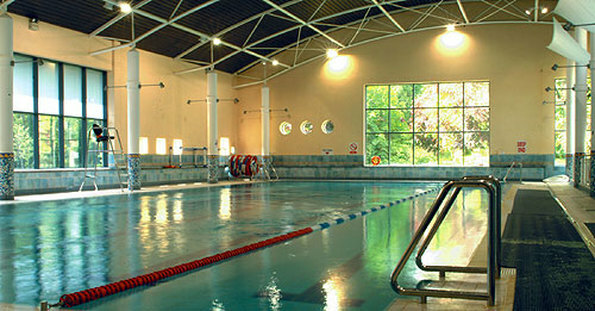 We also run a lane for those getting back into swimming and getting back fitness from 7.00 - 8.00 am with Aoife Hamilton. This lane does not follow a plan and provide an option for relaxed swimming to built up fitness. Both sessions cater for all levels, however we recommend that you can swim at least 100 meters (4 lengths of a 25 m pool) without stopping before you attend. When is the next swim class? How do I pay for swimming? You need to be a member of Westport Triathlon Club and have a Triathlon Ireland licence to attend club swimming sessions for insurance reasons. As a 6 week block for around €4-8 a session. A block can be purchased through the our shop. As a drop in fee of €10 to be paid to the coach on the pool side. If you would like to try a class and see if they are for you, please come along for free. Just tell the Leisure Park receptionist that you would like to attend a free triathlon club swim session, get changed and introduce yourself to the coach on the deck. You can have three free try outs before you must become a member.